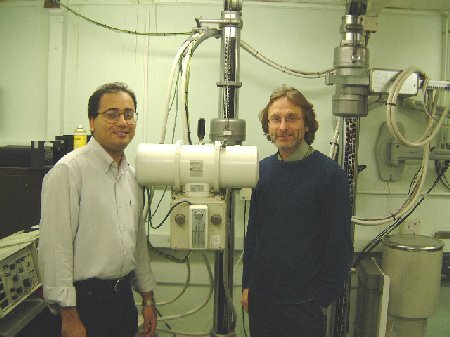 The John Perry Laboratory (JPL) was set up in 1989, at St George's Hospital, specifically for the calibration of radiation measuring instruments, such as dosemeters and non-invasive kVp meters used by X-ray engineers and for QA measurements carried out by Medical Physicists and radiology staff in diagnostic imaging departments. Additionally JPL has repair service for a range of equipment that it calibrates. RPC moved to its new premises in 2004 and in the process JPL has quadrupled its capacity. JPL now has two labs for calibrating dose measuring equipment and two for calibrating kVp meters, which has significantly improved the turn round times for calibrating instruments. JPL has also added a high voltage test rig, to its capabilities, which allows it to carry out calibrations on invasive kV dividers such as the Radcal Dynalyzer. Other services include x-ray transmission measurements for manufacturers of radiation protection materials such as lead, lead-backed plasterboard and lead rubber. JPL is also able to calibrate/test densitometers and sensitometers. In short JPL continues to provide a one-stop shop for calibration, maintenance and repair of dosemeters and kVp dividers (non-invasive and invasive) and other equipment used in diagnostic radiology. The Laboratory is the recognised Europe calibration and repair facility for the Radcal Corporation, California. RPC's Calibration and Repair Laboratory, The John Perry Laboratory (JPL), is now accredited to ISO 17025:2005 "General requirements for the Competence of calibration and testing laboratories". In the UK, this is generally known as having UKAS accreditation. JPL's accreditation number is 4280 and our schedule of accreditation can be viewed on the UKAS website. The route to accreditation, which has been detailed and thorough, has taken JPL just over 18 months to achieve. In the UK there are approximately 2,500 laboratories that are UKAS accredited and JPL is, at present, the only one accredited for this particular type of work in the UK and, one of very few in Europe. RPC can and is rightly proud of having achieved this distinction. Click here to download a copy of our ISO 17025 (UKAS) Certificate. Traceable calibrations, carried out under conditions used in the field. X-ray beam qualities to meet customer's needs. European calibration and repair agent for Radcal Corporation. One-stop calibration and repair service. Pick up and return of instruments can be arranged. For a copy of the instrument calibration application form click here. Because of the large dynamic range of modern dosemeters used in diagnostic radiology, it is prohibitively expensive to carry out a full test of the range radiographically. Radiographic calibration plus a full electrical calibration on all Radcal dosemeters ensures that the dosemeter is calibrated over its full dynamic range. If your instrument is in need of repair, we can also repair as we are Europe repair agent for Radcal. This gives you a one-stop service for repair and calibration. JPL's repair service is certificated to ISO9001:2008 and all calibrations of dosemeters are UKAS accredited. Radcal kV meters are electrically tested and calibrated using factory procedures. In addition we have the ability to adjust and repair the instruments if necessary. Fluke Biomedical RaySafe kV meters are also calibrated. Gammex kV meters can also be adjusted if necessary. This includes the very popular RMI 232 mammographic kV meter. JPL can calibrate invasive kV dividers, including the Radcal Dynalyzer. Due to JPL's relationship with Radcal, a repair facility is also offered and of course adjustment where necessary. The calibrations are UKAS accredited.